Help! My Teenager Wants To Start Bodybuilding! I’m running this site now for more than three years and due to its nature – working out at home without having to buy expensive equipment – a lot of teenagers are among its visitors. When I ask why, I usually learn that the reason for secrecy is a misunderstanding. The teenager wants to do one thing and his parents think he is about to embark on something very different. I’m writing this in the hope to clear things up a bit, get to common ground and then decide if working out is a worthwhile activity to pursue. I can’t blame any parent for reacting shocked when their 14-year-old declares he wants to start bodybuilding. In the public eye, bodybuilding is a sport done by people using illegal steroids to get muscles so big they look like freaks. Unfortunately the public eye is right and what many professional bodybuilders do has little to do with health. 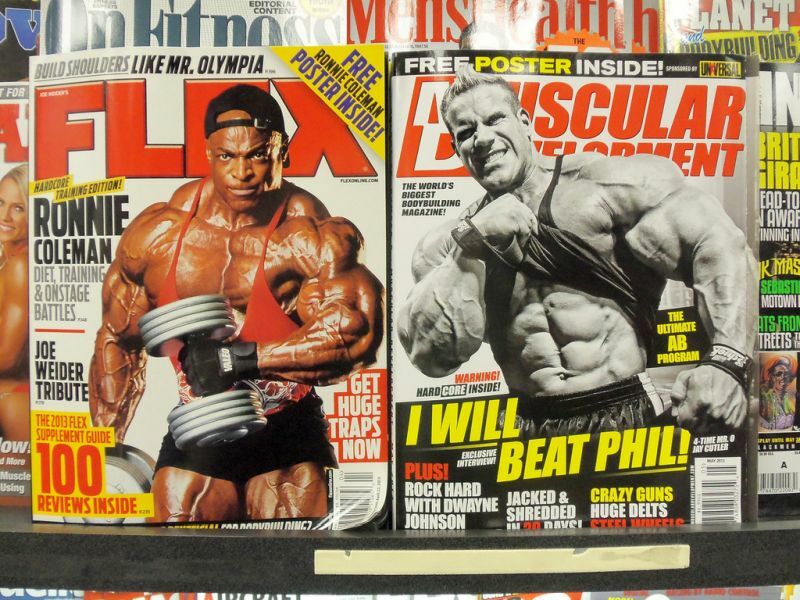 Bodybuilding magazines and what they portrait: what parent wouldn’t be shocked? However, among the thousands of teenagers visiting this site it’s only a tiny fraction whose aim is becoming the next Dorian Yates, Ronnie Coleman or Phil Heath. The teen says, “I want to start bodybuilding,” but means “I want to get a bit more muscle.” They only use the word “bodybuilding” because they learned online or from friends that that’s what you call the process of building muscle. They are happy with looking more athletic and will never obsess in the way the some “true” bodybuilders do. This doesn’t require any expensive equipment and the proper name for it is “strength training.” It makes the muscles bigger, but in a healthy context. Although the cosmetic effect is what teens are really looking for, it is a by-product. Together with endurance activities, it forms the complete picture of a healthy body. Endurance training aids the cardiovascular system, strength training the musculoskeletal system. Chances are your child has already done strength training. Without you or him being aware of it. Watch what children do on playgrounds. Climbing, for example, is doing pull-ups with some aid from the leg muscles. When the child turns into a teen and professes interest in “real” strength training, it’s just transforming play into a structured plan. The right age for using a real schedule is at the onset of puberty, when children have learned enough body coordination through the above activities. Their first plan should work all portions of the body, use a small number of exercises that train many muscles at once and pose a minimum risk of injury. My example for such a plan is here. Teens often want to get right to the barbells and dumbbells, but they have no business on those. Like all beginners, they first have to master working against their own body. “Real” weights in moderate amounts come into the picture when the teenager has outgrown his body as resistance (see below). Although you’ll often hear it, weightlifting does not stunt growth. The myth goes back to the 1970s, when Japanese researchers examined child laborers and found that they were abnormally short. Their conclusion was that the endless lifting and moving of heavy weights had stunted the children’s growth. Today a growing body of evidence shows otherwise. The Japanese child workers more likely suffered from malnutrition and having to lift weights heavy enough to deform their bones. But it does lead us over to one weightlifting activity teens shouldn’t start “powerlifting” – lifting weights so heavy you can only do it one to three times. Not only can this bend the bones, there’s also a high danger of losing control over these enormous weights. 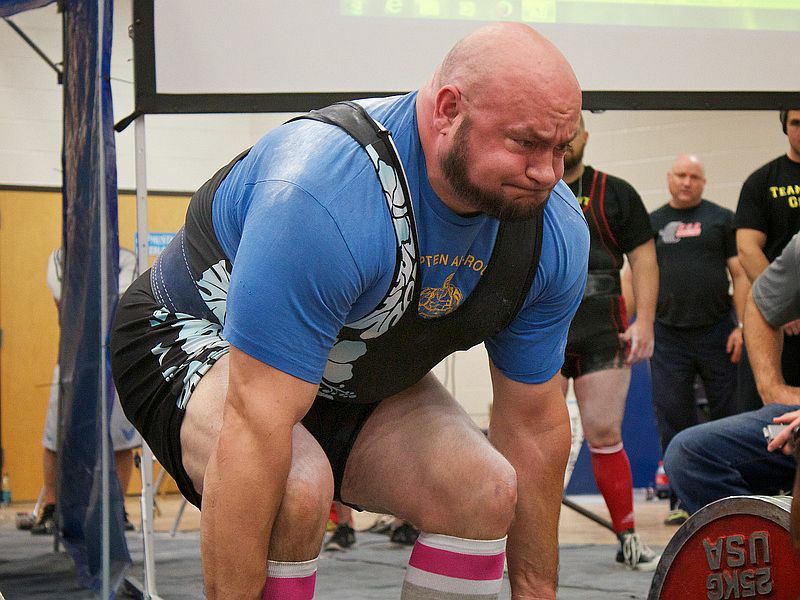 Powerlifting is not for teens. When one day the transition to using weights happens, it’s best to start all exercises with light weight and get a feel for the proper movements. What they should look like I show in my videos. When they use “live” weights, teens should be able to repeat the movement 8 to 15 times and come as close to ideal execution as possible. In that regard, some teens I met are very meticulous about doing their exercises, others are sloppy and endanger themselves. The latter is also true for adults, but for them I can’t recommend parental supervision. Last but not least these often expensive wonders, that lure teens (and many adults) interested in increasing muscle mass with effortlessly getting it out of a bottle. When parents think that most of them are dangerous, expensive and crappy, I can’t argue against it. I have an entire section on this site dealing with supplements, and examining them from a scientific perspective, I can hardly ever hand out a recommendation. Some simply do nothing. Others, thanks to lax regulation, are outright dangerous. For a teenager, there only really is one workout supplement that might come in handy, and that is protein powder. The body make muscles from protein, and if too little is in the diet, muscle growth slows down or stops. Protein powder essentially is nothing but concentrated powdered milk. The only other two supplements with scientific evidence behind them, creatine and caffeine, I don’t recommended for teens. Your teenage son (or daughter, of course, although girls confess interest in this much less often) is very unlikely to turn into a mutant. What he or she really wants is a better body image and on the way will improve his or her health. In a world where too many teenagers are obese, this is a commendable effort. I hope I cleared up this misunderstanding a bit and, if you have any further questions or comments, please go ahead and put them in the comments! Picture courtesy of “bitterbuick“, Daniel Oines and “J Griffin“.